The Grand Bazaar – Covered Market (Kapaly Charshi – in Turkish) can be considered a large architectural complex. 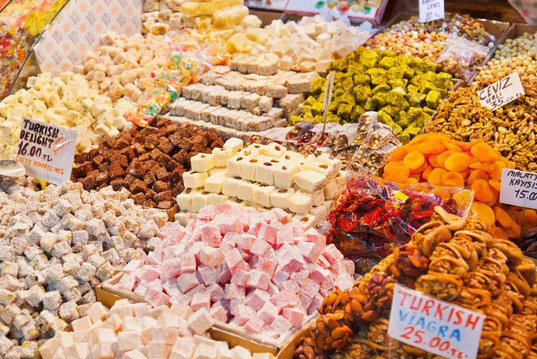 It is one of the largest covered markets in the world, which is one of the attractions of old Istanbul. Inside the market there are 61 streets, 4400 shops, 2195 ateliers, 18 fountains, 12 mosques, 12 warehouses, one school, one bath, several cafes and currency exchange offices. 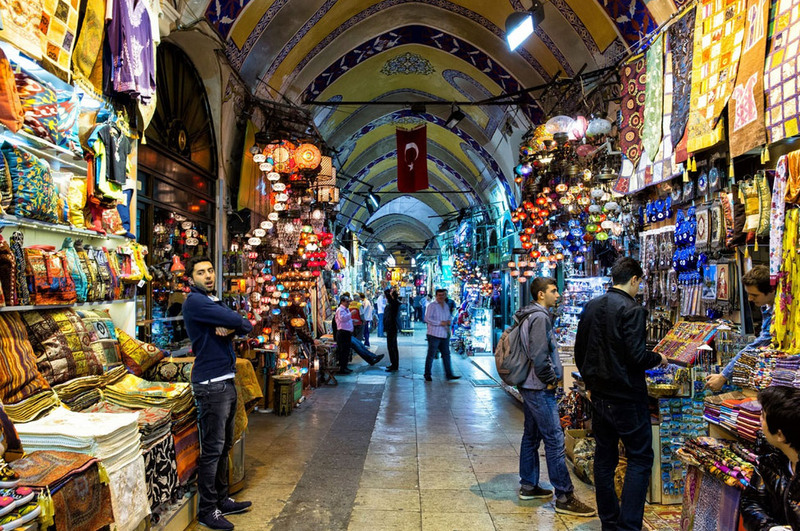 Grand Bazaar (Grand Bazaar) – is one of the largest markets with a roof in the world and the largest in Istanbul. The very name “bazaar” is translated as “fair”, and “grand” means “big”. 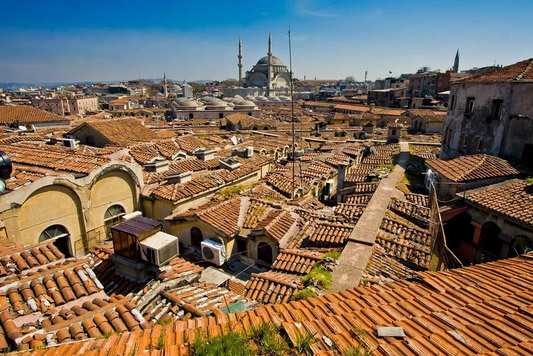 The construction of the market began in 1453 immediately after the capture of the Byzantine Empire by Ottoman troops and ended in 1461. In the following years and centuries, the market expanded more and more. 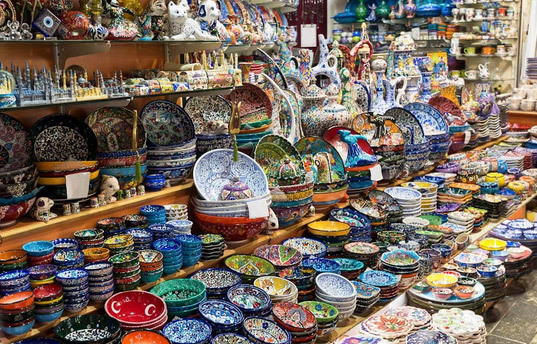 In the 18th century the Grand Bazaar was the slaveholding center of the country – captured slaves of different nationalities were sold here from a tray. In 1894 there was a powerful earthquake that destroyed a significant part of the market buildings, and a lot of work was done to restore it. 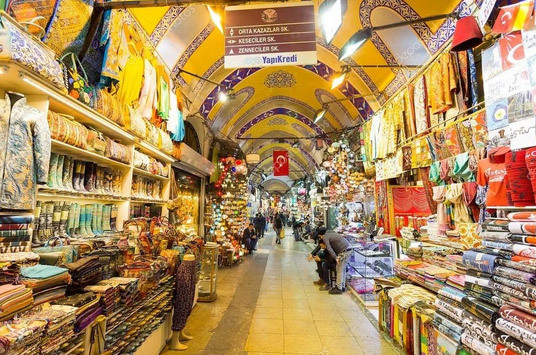 Grand Bazaar is difficult to call a market in its usual sense – it’s a whole town in the city. It even has its own streets, and each has its own special name. The market takes several blocks and there are more than 4,000 shops and trade shops on its territory, as well as several mosques, warehouses, one bath, one educational school and even living quarters. 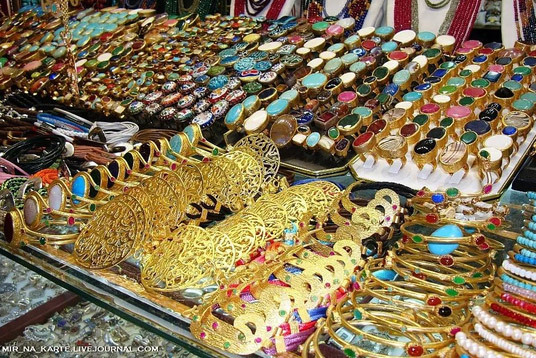 On the territory of the bazaar there are also cafes, restaurants and currency exchange points. The market has 18 gates and all of them have their names. In order not to get lost in the labyrinths, it is better to remember the name of the gate through which you entered. The bazaar is open daily, except Sundays and public holidays, opening hours: 9 a.m.-7 p.m.
• fragrant oils and much more. Tourists are especially attracted by souvenirs, oriental sweets and spices.